Sandro Pereira - Blog: Extravaganza Christmas Present! Hello, everyone! I'm just dropping by to wish you all a happy holiday and give you a little present! 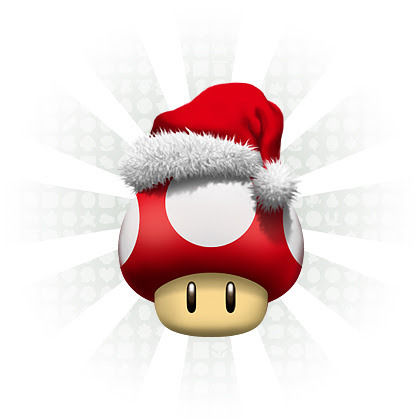 In the spirit of the holidays and the Super Mario Extravaganza that has been going on for almost a year, here's a special Christmas-themed Mushroom icon! This is a special icon that will only be available for a while and it will not be added to the Super Mario Icons pack, like all the other Extravaganza icons, so grab it now! You know the drill: hit the download button below to get your icon in PNG, ICO and ICNS form!